I’ve been reading your circulars for a while, and have waded through your guide from time to time. But now the time has come to make decisions. I should say straight away: I don’t play. I really don’t. Wish I did, but there you are. My Son does though. He’s 22 and pretty musical – plays acoustic, electric and bass guitar, drums, piano – and sings. We have a Broadwood ‘bar-less’ baby grand piano, so he’s used to a proper action. We also have a Hammond M101 which he uses sometimes for organ music. Unfortunately those are both now in storage as we are moving house – and more to the point he is now a student and will be living in small flats and things for the next few years. We therefore need to think of how he can to continue to play, and I would like to find something to buy for him to allow him to do this. He will have access to good pianos in the future when he performs, and to the Broadwood again when he eventually has room for it. The purchase of an electronic piano is therefore as an alternative, to help him continue playing when he might otherwise not be able to. The BIG advantages of an electronic piano are versatility and portability, and these will persist even when he has the Broadwood again. I think we need to make the most of these, rather than trying to get the very best piano-like experience for him. That way an electronic piano will continue to be of use to him for a long time. So I don’t think we are looking for a stand-up electronic piano that sits in the corner looking for all the world like a real upright. That is surely a main piano for people who have no room for the real thing. I think we are probably looking for something nearer to what you call a ‘Stage Piano’. On the other hand it does not need to be all that light. It can be pretty heavy, in fact. It just needs to be possible to carry it around and set it up in different places, even if it takes two people to do it. To me that implies a full 88-key keyboard, probably on a strong X-stand, with plug-in foot pedals. But it also implies a good, weighted action which will enable him to transfer his skills to the real thing when it’s available. Sound is a tricky one. It should probably be capable of producing a reasonable sound as it stands, but it is likely to be played through a separate sound system much of the time, so on-board sound is not really critical so long as it is capable of good sound through external equipment or headphones. MIDI output would also be useful of course. My target price is somewhere between £500 and £900. I know this is wide, and I’d even be prepared to go outside it if you think there is an ideal machine out there for us, but I’m looking for your advice on the kind of machines which would fit the requirements and have very little idea what can be bought for the money. As for buying; I would happily buy from you if that can be arranged. Or if you think there is somewhere local I should go to please feel free to tell me. Best wishes. And keep up the good work; I’ve passed your guide on to quite a few people! both be suitable for your son. They can both be connected to an external amp. because of its large volume range. variety of pianos and just feel I would like to a) replace the keyboard and b) go towards an instrument that feels more like a piano. Had a little try out of the p35 and p105 last week as we were on holiday and quite liked the feel. The piano might be good for working with the choir as you can not always guarantee the quality (tunefulness etc) of a piano at a venue when it is a small ladies choir that does mainly church halls. Then the Yamaha P115 is my recommendation. feeling is closer to a real piano. sound is warmer… more Steinwayish. Now, the only downside is its physical weight. body, its overall weight is more than the P115. We’re getting the first batch of FP-30’s in. So let me know if you’d like to reserve one. I bought a Yamaha Clavinova from you back in 2011. My daughter is progressing well and on to grade 2 now. I’m looking for a portable Yamaha keyboard we can take with us to France and IOW on holiday. Any ideas on which model would be good? She enjoys singing and making up songs to the preloaded tunes and playing other sounds, as well as recording what she does. enough to carry around with you. be useful for your daughter. 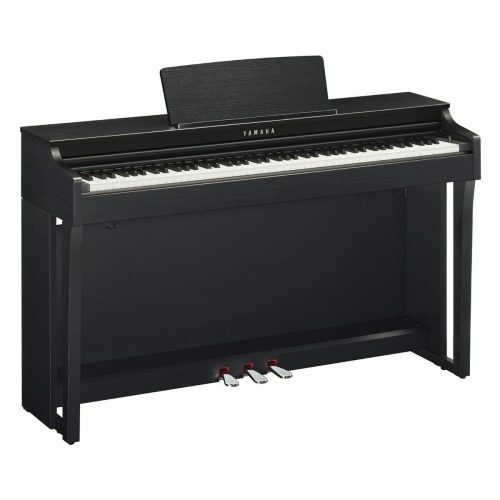 I haven’t owned a piano in several years, and I’m now thinking of buying a stage piano. I have also played various organs and keyboards for about 30 years, and have always used Yamaha and Korg. I currently has a Korg PA and a Korg workstation and want a Stage Piano to go in my A frame. Obviously I’ve been thinking of either a Sp170S or Sp280 as a portable piano. I want as realistic sound and action as possible but at the best possible price. P.S. Great website, loads of info. for you: Yamaha P105 and Korg SP280. different aspects of key touch and sound quality. The overall key touch scoring is almost identical. There’s just has a hint more pureness to its tone. I am interested in buying a digital piano and am a bit overwhelmed by the choice on offer. I have had an acoustic piano (1980s Schimmel) for a long time but am looking for something in addition which I can use to practice in the evenings after work when the kids are in bed, so good action is more important than sound quality if there needs to be a trade-off to keep the price in the range below about £600. To add some more constraints, my wife is keen for it to take as little space as possible so a slab would be best as that can be put away more easily. Finally, I want my kids to use it to start learning so again the close the action to a good acoustic piano the better. What would you recommend, please? that would be most practical for you needs. with a lesser wattage are used. to manage advanced technical pieces. I recommend the Broadway B2 for you. Let me know if you would like more info. Thank you so much for writing me. I certainly do have questions for you. I read your book today. Before I read it, I was pretty sure of my selection. After reading it, I thought, “I’d better test these pianos again.” I returned to the music store today and, knowing a bit more about what to listen and feel for, I have formed new opinions and raised new requirements. I was just scanning your site, in fact, and was about to begin drafting my inquiry to you. I don’t know how to call your phone number because I’m in the USA in New York, so I will email my questions to you now. I’m looking for a portable digital piano with internal speakers that feels and sounds like a real piano. I don’t mind at all it being on the heavy side like the 50+ pounders. I can always have help moving it into and out of my car or to bring it outside to play, which I think would be nice when it’s warm. I’m interested in putting it on a Z-stand because I like the idea of playing while standing. I’m not going to be touring or playing in front of an audience; it’s just for myself and whoever wants to hear what I’m up to. The piano I was set on before my return visit today was the FP-7F. I began to doubt my certainty when I was surprised to read that the FP-7F was only partially weighted and that its touch sensitivity is 1-5. You see, the specs on the Roland FP-7F website say it has 100 levels of touch sensitivity. Is that some preposterous claim? I don’t like the Yamaha P-155 because of the sound and because I feel like the keys push up forcefully on my fingers after I press them down. I don’t like the Casio Privias. The store ran out of FP-7F’s, so I didn’t get to try it with my new learned wisdom. I did get to try the Roland V piano which I was told has the same action as the FP-7F, and I actually didn’t really like it because I felt like I couldn’t play softly. The salesman told me that this is a sorry limitation of digital pianos. I wanted to try the FP-4F, but this piano was in a box, and I arrived close to closing time, so I was told that another Roland on display had the same action as the FP-4F. I don’t remember which model it was, but I definitely did not like the action. It was much too soft, and the surface texture of the keys didn’t feel real. I did like the surface texture of the Roland V keys. Next, I played the Roland F-120. This was my favorite. I actually enjoyed playing this one. The heavier action, the surface texture, and the sound were the most enjoyable, but soft playing was still hard to achieve. The salesman told me that the FP-7 actually has the same action as the F-120. I wonder if this means I ought to buy an FP-7. If I remember correctly, I think I did notice something funny about the F-120 – that when the keys are kept pressed, they never stop sounding – the sound never decayed, even with the reverb turned off. I was playing Nocturne in E minor for all of my testing. I haven’t found a location to try the Kawai ES6 or any Kurzweil portables. I certainly haven’t come across any Classenti’s, but I am so interested in trying the P1 since I read from your site that this brand has the most realistic feel. I am concerned, though, because I also read that it has only 1-4 touch sensitivity. Classenti offers a 60 day free trial period, so a blind purchase would not be terribly risky but certainly terribly inconvenient. I do see that the Classenti P1 makes #8 on your top 10 list while the Roland FP’s don’t make it at all. I have an acoustic piano, so I’m only looking for the best portable digital with internal speakers. (What is the basis for your sound ratings? Is it the quality of the sound file itself or is it the sound that comes out of the internal speaker, headphone, or amplifier, the last two of course varying according to selection?) I haven’t tested all of the Yamahas and all of the Rolands, but based on my tests of the portables, I find it hard to believe that Yamaha beats Roland in sound and touch. I can only assume that there are big differences between the cabinet and portable styles. I don’t know of any portable digitals with my requirements besides those aforementioned. I will try the Roland FP-7F again once my local store restocks them. Based on my likes and dislikes, do you have any more suggestions? I don’t care about cost so much. I like the Roland sound, but if there is a better feel out there than what I’ve felt, with a comparable sound, why, that’d be just perfect. Thank you very much for your care! I look forward to your response. on the V-piano is because of the escapement. key stroke. I’m not a fan of escapement. in speakers) is the Roland FP-7F. Thank you for your kind follow-up. not exist on this planet. I have YAMAHA CLP -170, no longer on their catalogue, and I am quite happy with it. Unfortunately it requires a truck to carry. You will probably have to compromise. Bottom line: I just want a good ‘piano’ that I (a weak and feeble female) can cart around. If I could take my own lovely old upright, I would! I have read as much as I can about possibilities, but am still confused. Your help would be greatly appreciated. The Roland is the best by miles. The Roland FP-7F has a more sensitive key touch. It’s more suitable for advanced playing. The sound is also more resonant. choice. Especially if you are a beginner. I like the P1, it has a pleasant, natural sound. good for learning to play on. instrument which ‘sounds like a proper piano’ but is a far more moveable/portable piece of furniture. 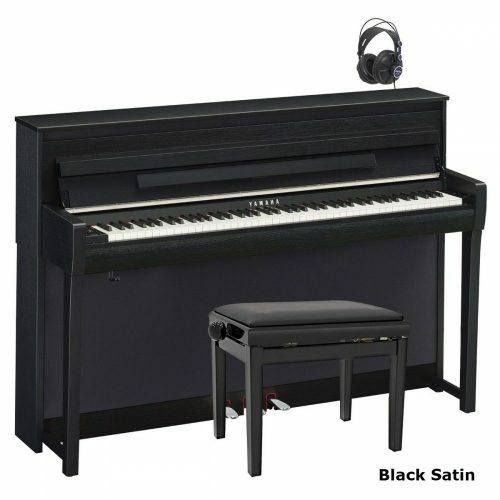 of piano & stand and the almost exclusive back-up by Classenti of a 5 year warranty. Roland model came out tops – the key touch and feel was better than the Yamaha and the Kawai keys felt very plastic and slippy. So i am almost convinced the Roland FP – 7F would be the one for me – just slightly worried about the key noise on glissandi sweeps – will all digital pianos make this noise? You’ve chosen the right piano. also has a warmer, rounder sound. doesn’t bother me that much when playing. Since asking the last question -would like to ask another – sorry! am i correct in thinking that if i went for any of the more expensive Roland models then they would not have the wattage/speakers i need – without buying a separate amp? Sounds like the Roland RD700NX is all singing/all dancing, but more gadgets than i need and no speakers, am i right? then you will certainly need a separate amp. many more bells and whistles. has it in the showroom. How far wrong could I go if I ordered it online without ever having played one?  I am a (keen) novice and own an acoustic piano (baby/mid Grand). I would like to practise more when everyone’s in bed and wondered about getting a digital keyboard (with fold away stand to minimise storage space etc – I think they are called ‘stage’ pianos). b) I had in mind paying around £500-£700 (max) Yamaha P95 / Casio PX130 / 330 / Korg SP250 ? c) Have you any recomendations? all have a medium-weighted key resistance. get a clear, rich piano sound too. Perhaps you can help me in making the final decision. desire a rich natural sound. think it’s more easy to place it sturdy if it weighs a few extra pounds. we will be playing would mainly be pop/blues/songwriter stuff. NP30, P85 and the Classenti P1….. looking at my application. perhaps more crispy, colourful and transparent (which is what I like)? The Korg SP170 is certainly a good looking beast. But, what really lets it down is the key touch. way I can put some feeling into my music. nicer than the poor quality video shows. I’m hearing reports that the new Kawai MP6 is an excellent instrument in the €1000 – €1500 price range. The spec looks really good, How would you rate it against the Roalnd FP7F in terms of spec etc.? There is also the new ES6. Would really appreciate your view. The Roland FP7F is a lot nicer to play. The Roland sound is also more vibrant. I’ve looked at your handbook on buying digital pianos and it’s been a great help. 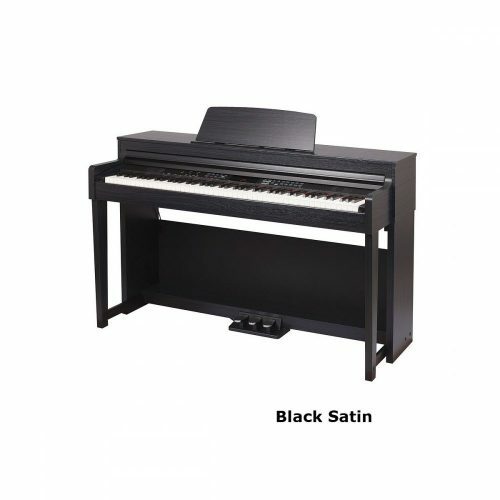 I’ve been looking at either a Yamaha CP33 or Roland FP4f and am wondering which one is best. can give me a quick comparison on both and your thoughts on them. They are both nice pianos. I prefer the sound of the Roland. It’s richer and more piano-like. The Yamaha has a slightly heavier key touch. We have now received your book. Thanks for all your help and advice, its good to be able to turn to some one for help. We want to be able to use this instrument in our church along with or some times in stead of the church organ, it needs to be reasonably portable to move from room to room. We have a limit of £500 or there abouts. We have had a look around and so far we like the KORG SP250 and think that this will fit all our criteria. We would value your opinion and advice. a real piano, and be more enjoyable to play. the piano in a very large hall. try the Classenti P1 however. You get a nice piano sound and a realistic touch. It’s also the most popular around its price point. It also weighs about 5kg lighter. so it feels more like playing an upright piano. It has an equally nice piano sound. Overall I would give the Yamaha the slight edge. great that one can obtain free impartial unbiased advice. I have written to you a few times over the past couple of years. years under my belt I have used most of the semi pro line keyboards. I am looking for a replacement stage Piano/Keyboard either Yamaha or Roland. With weighted keys Less than 25 kg. For rehearsing at home I use plug in head phones or small combo amp. Grand Piano rich sound with a good heavy bottom end. Nord is out of my league. I have a budget of £1500. I value your input in choosing my next stage piano or keyboard. I will keep the Korg PA 588 for home use only. What about the Roland RD700NX? That might be something even better for you? I recommend trying one out.